But the truth is that it doesn’t have to be such hard work. And in this post, I’ll show you how to expand your audience by creating content that appeals to fewer people (yes, really). Most content is created for mass appeal. Countless blog posts, all covering the same topics and trying to please everyone. I could see a blog post about cool Mac apps on Twitter and find that most of the post isn’t even relevant to me as a blogger. Then the inevitable happens – I get to the end of the post and feel like I’ve wasted my time. So what’s the answer to these sorts of problems? Below I’ll explain exactly what this means and show you some examples of how to create laser-focused content. This will be critical to your content strategy and help you drive significant results. What exactly is persona-driven content? Before we go into what makes persona-driven content, you need to create a persona for your ideal reader. Or several – that’s up to you. But let’s stick to one to start with. A persona is a snapshot of your ideal reader. Some refer to it as an avatar. This persona will include details about the challenges your ideal reader will face, what they value, where they hang out online and more. To help you understand your ideal reader in a way that allows you to create content that’s tailored to them. How can you create your own audience persona? First, you need to be clear on exactly who your ideal reader is. And be as specific as possible. Your ideal reader might be someone that loves to travel. But can you get any more specific? Digital nomads immediately come to mind. What about a video game blog? You could focus solely on folks that play role-playing games (MMORPG’s). Now, let’s look at a more detailed example of what a persona might look like for a real blog. Experience: Has been earning money on the web for at least 6 months. Reads: Quicksprout, ZenHabits and Entrepreneur. Motivations (reasons why they started a business): Wants the freedom to be her own boss. Wants: To manage time more effectively, get more headspace (e.g. could be from meditation) and learn how to systemize her business in a way that allows her to lead a more freeing/happy life. Curious about: Mindfulness/meditation, productivity hacks, smart tools she can use in her business, outsourcing, finance. Spends: Over $300-500 on running her business (most work is done herself), but willing to spend more if it allows her to scale up. Challenges: Dealing with the distractions of home life, scaling up her business so she can spend more time with family. The big picture: Sally is a motivated “self-starter” who is keen to create a “freeing” lifestyle for her and her family. Yep, I named the persona. I find this helpful because it makes them easier to remember because I typically have more than one. Other examples include Author Aaron, Agency Amy, Startup Steve etc. You could also save your persona in a document with a photo of someone that fits the description of your ideal reader. It’s not essential but it’ll help you visualize your ideal reader. Create the persona around the ideal vision of who you want to attract to your blog – Ideal if you’re just starting out or want to change direction. Base your persona around your current readers – Ideal if you have an established audience. Need some help understanding your audience? Send out a quick survey to your email list using a tool like TypeForm (the free version will do). If you’re a Blogging Wizard subscriber, you can find an audience persona template in the VIP Resource Library. Not a subscriber yet? Sign up here. In a moment I’ll show you examples of persona-driven content from various niches. But first – let’s take a look at how to ensure your content is as specific as it should be. Sure, you could rewrite a headline so it appears to be more specific. But, you also need the content to deliver on the promise made in the headline. Let’s say I was creating a post on how to start a blog – specifically for food bloggers. Yes, the title would need to show that it was for food bloggers. But I’d also need to make sure the content was relevant as well. So how could I make the content more relevant? I could include recommendations of themes that are designed for food bloggers and WordPress plugins that allow you to format recipes for search engines etc. And maybe some specific tips on which monetization strategies work well for food blogs. See the difference this can make? Need some help with your headlines? Check out Elna’s post on headline tools. You’ll find tools to inspire your next headline, improve them and test to find which performs best. Now, these examples are going to be focused around headlines. I won’t go into specific headline writing strategies – that’d require another blog post entirely. 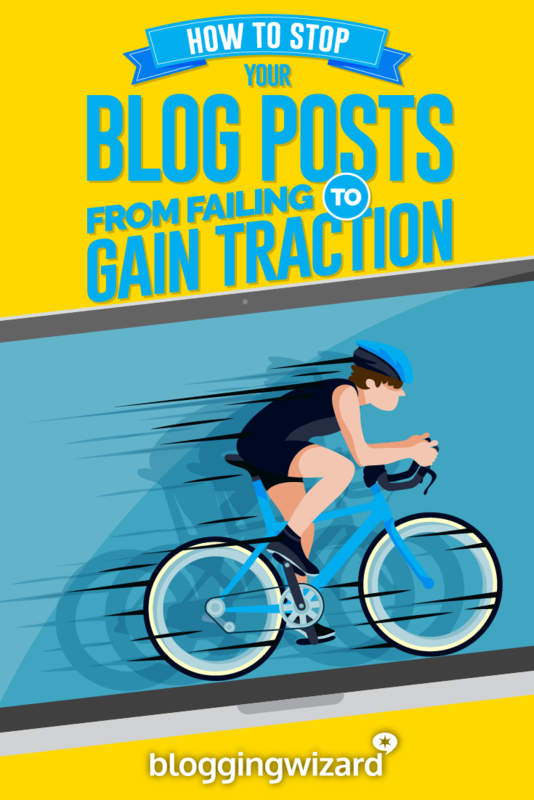 But these examples will show you how easily generic blog post ideas can be transformed. Each of these examples hones in on a specific type of person that would want to read about the topic. However, the gaming example goes further because it focuses on Mario fans that use Steam (a PC gaming platform) and have a particular budget. Ready to have a go for yourself? Create your audience persona based on what we discussed previously and then choose a topic you haven’t covered on your blog yet. Then, write down 10 examples focusing on different aspects of your audience persona. If you need a bit of inspiration, this post by Buffer on headline formula’s will help. And Elna’s post on headline generator tools here on Blogging Wizard is well worth reading too. But, I recommend you try the exercise without any outside help. It’ll help you in the long-run. What’s critical here is that you get the creative juices flowing by coming up with new ideas. The more you practice this process, the easier it’ll get. And remember that when it comes to creating persona driven content, changing headlines is one thing but the content needs to deliver on the promise made in the headline. We’ve discussed how crafting persona driven content can do wonders for your blogging efforts. And we’ve talked through examples for both creating persona’s and transforming unspecific content. We can’t please everyone but when we narrow the focus of our content, we’re far more likely to gain traction. And when someone reads a blog post that speaks to them directly, they are far more likely to engage with you.